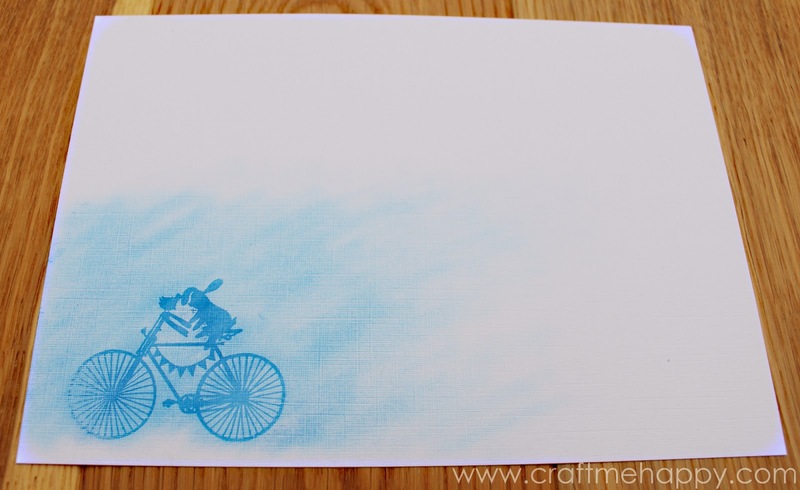 I'm not a massive collector of rubber stamps, but being an admirer of Paper Panda, I couldn't resist these. 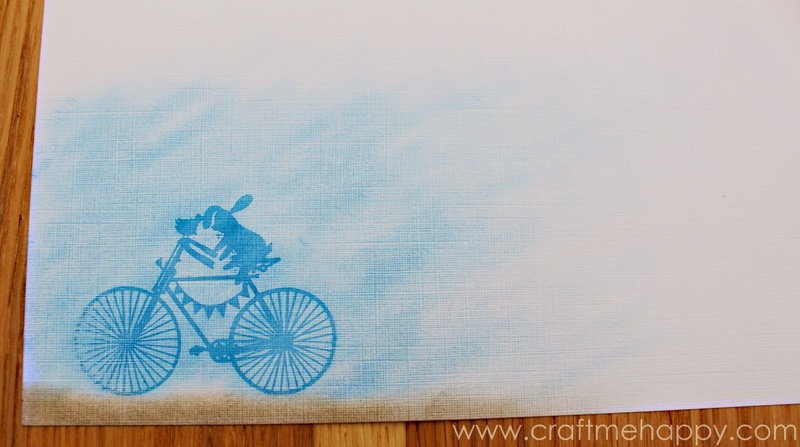 Take a look at my post on my first attempt at paper cutting. 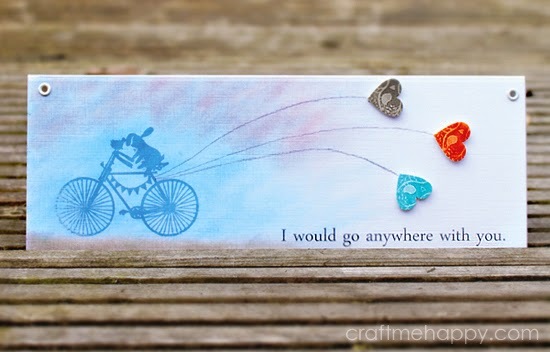 I thought I'd use my favourite stamping technique of using a Versamark watermark stamp pad, combined with chalks, to get a kind of watercolour effect. 1 sheet of A5 card stock. 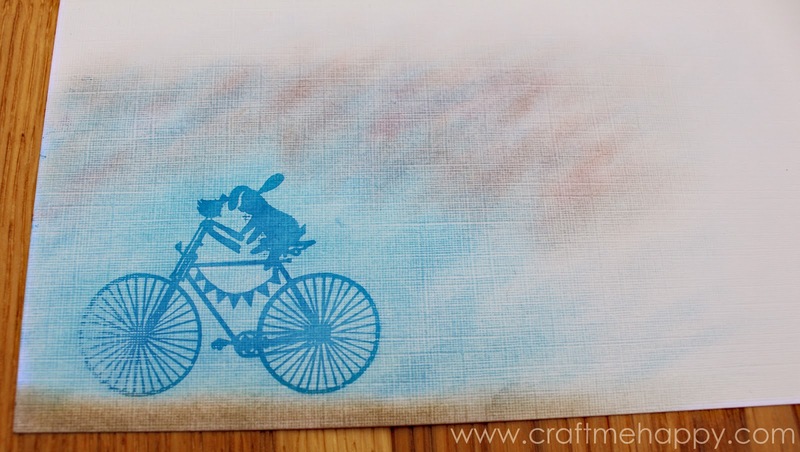 I used embossed linen card from Craft Creations. 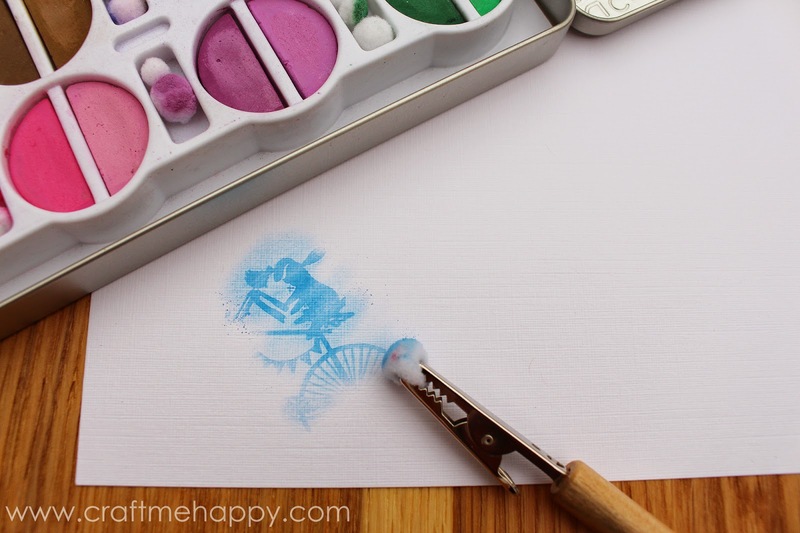 Paper Panda rubber stamp set. Inkjet acetate. I buy mine from Crafty Computer Paper. Optional printed overlay can be downloaded here. 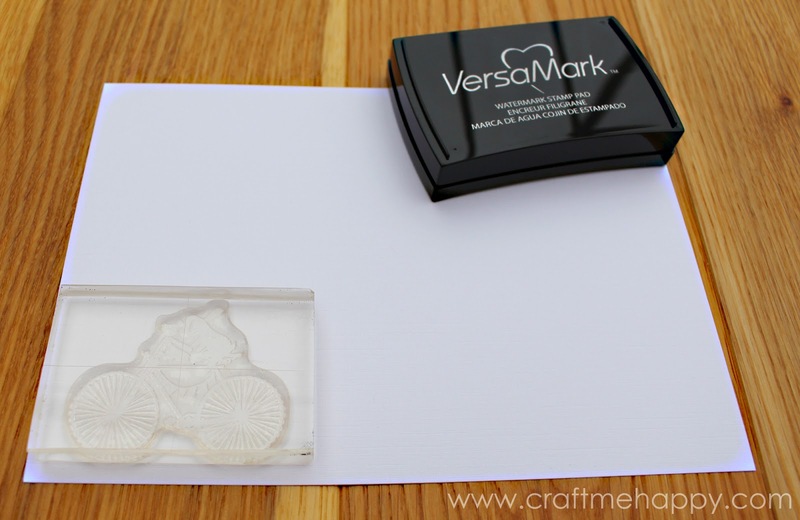 Attach your bike stamp to a clear stamping block and cover the stamp in Versamark watermark ink. 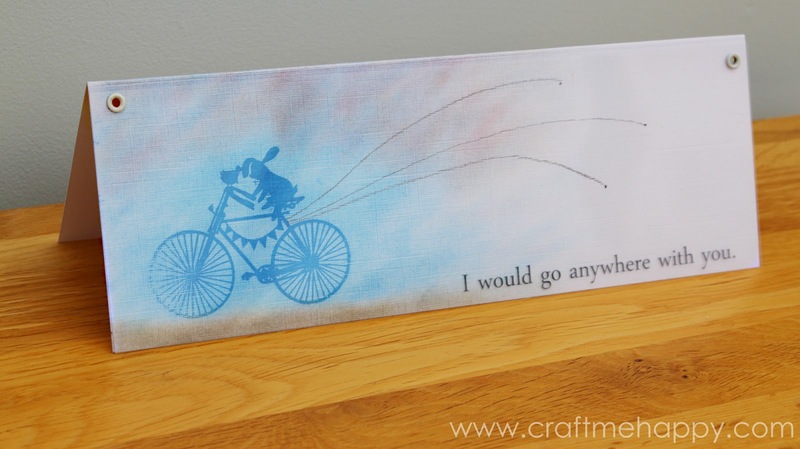 With your card stock landscape, stamp the bike image in the bottom left corner of the A5 sheet. The rubber stamped image is virtually invisible on white paper, but the magic happens when you rub coloured chalks over the watermark stamp. You could of course just stop there, but I wanted to create a little landscape for Bunny and Bird. The card is going to be an A5 sheet, folded long ways to give a wide, top folded, landscape card. 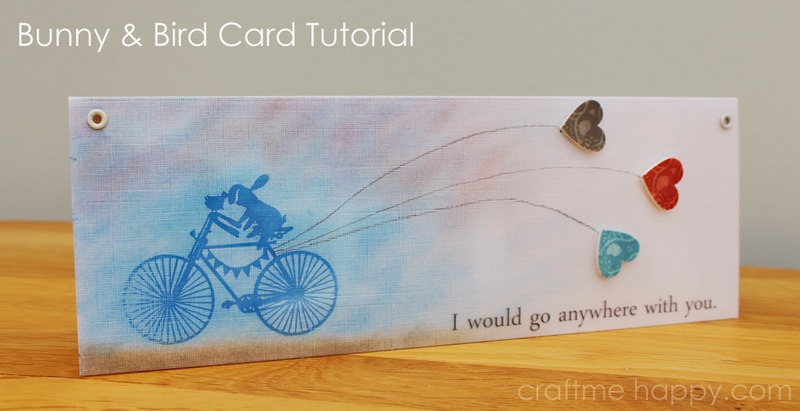 I want my design to fade gently towards the right of the card so I filled the bottom left quarter of the card with coloured chalk and then tried to create a gradient on the right by rubbing the chalk edges with a clean pom pom. I created the suggestion of a road by rubbing a mixture of brown and grey chalks along the base, again trying to fade the colours to nothing on the right edge of the design. To give the picture a bit more depth, I added a second blue/green to the sky and then dotted the top of the sky with a mixture of reds and oranges. 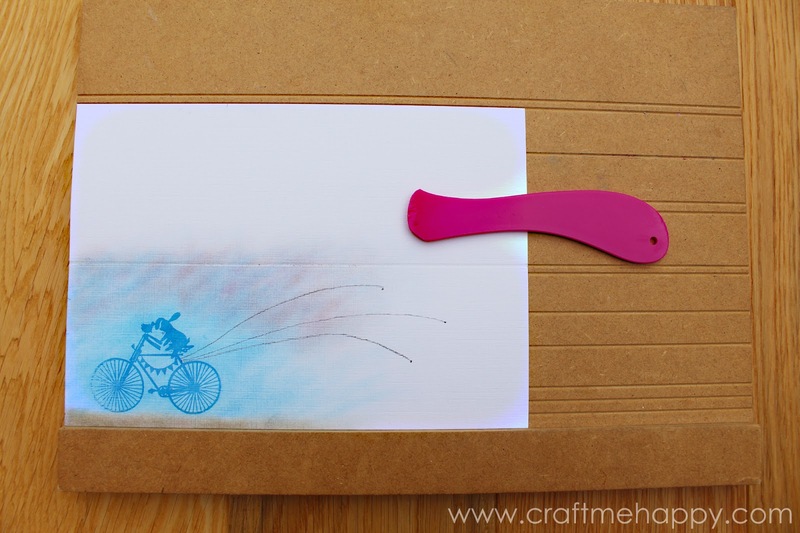 To create a trail of balloons behind the bike I dotted where I wanted my balloons to finish and then sketched 3 curving lines in pencil from the back of the bike and ending at my dots. If you have a scoring board, mark the fold line and fold the card in half. As you can see, my chalk marks carry on to the back of the card. I think that this adds to the hand made charm of this style of card. 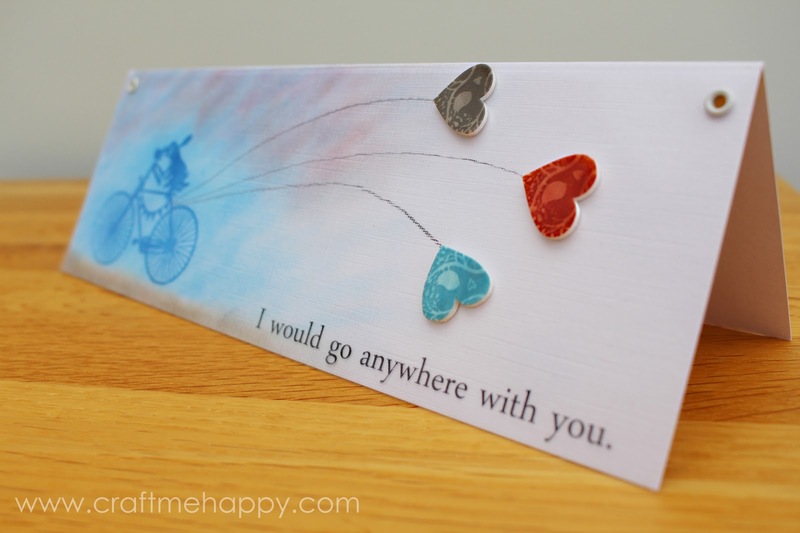 I created an acetate overlay to cover the front of the card, with my sentiment printed on. If you'd like to use mine, here it is. I love the professional finish an acetate cover gives to a card, it also helps to protect the chalks from being smudged later on. With inkjet acetate you always print on the rougher reverse so don't forget to mirror your image if you're creating your own overlay. 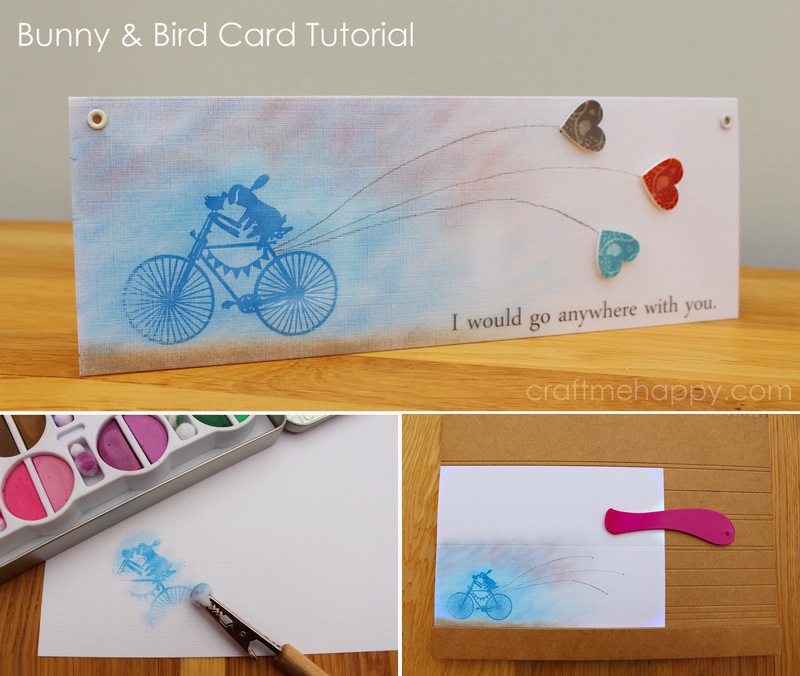 I wanted to use the bird heart stamp as balloons trailing behind the bike and I thought they would look great shrunk down onto shrink plastic. I used the same technique of Versamark ink and chalks on the shrink plastic. You can see how much the shrink plastic shrinks from the image above. 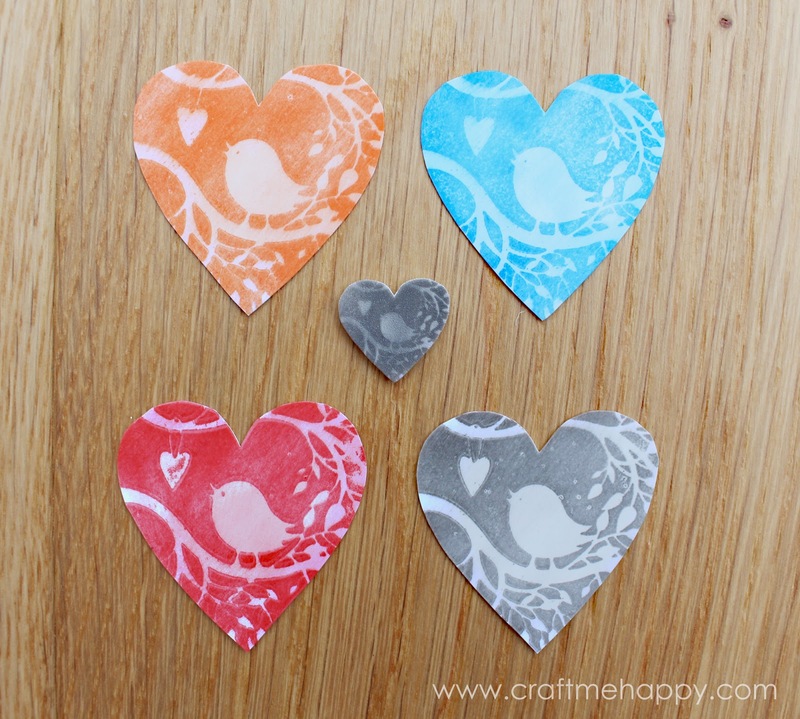 The four large hearts show the shrink plastic before shrinking and the tiny one in the middle shows how small they became afterwards. Just heat the hearts in the oven at about 175 degrees C for about two minutes, or until they've shrunk down and flattened out almost completely. You may need to flatten them slightly by sitting the base of a glass on top of them for a few seconds and pressing down. ... and here are Bunny and Bird off on a little adventure.